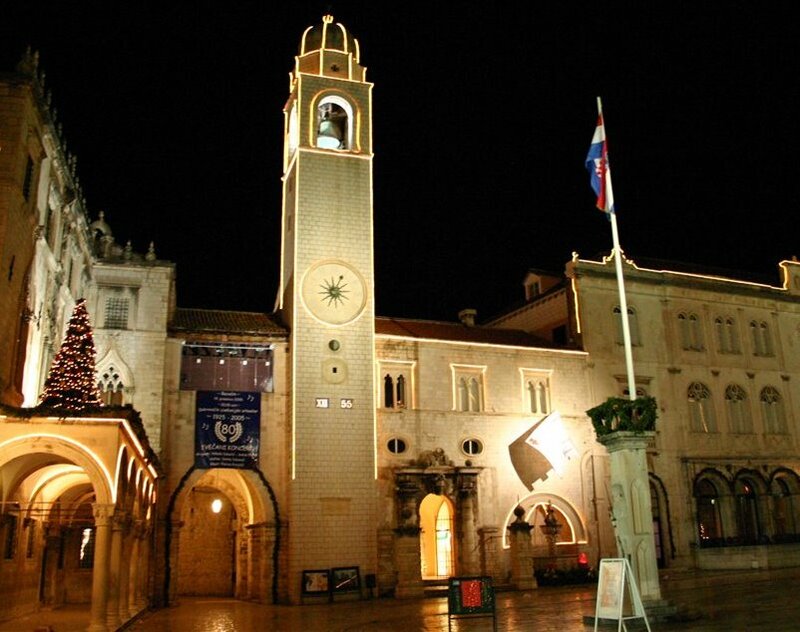 Soaring high above the Stradun, the Clock Tower is a magnificent landmark of the old town. Located at Luza Square which served as the market area many years ago, it is adjacent to the Sponza Palace and faces Sveti Vlaho (Saint Blaise) Church, the patron Saint of Dubrovnik. The Clock Tower overlooks Orlando’s Column with its white Libertas flag waving in the wind. Construction began for the 31-meter high tower in 1444. 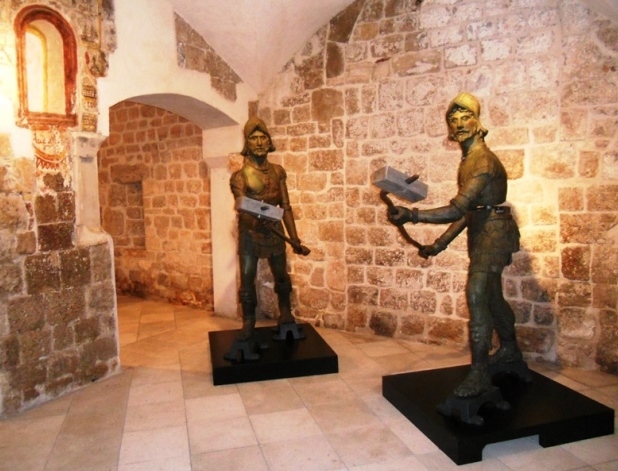 Two wooden men were designed to strike the bell and were later replaced by the two bronze figures, named “Maro” and “Baro” by the local residents. As the years passed, the bronze figures became tinted green from the salt air of the Adriatic. With this physical change came the name of “Zelenci” which means green men. During the 18th century, the well-worn clock and mechanics fell into disrepair. 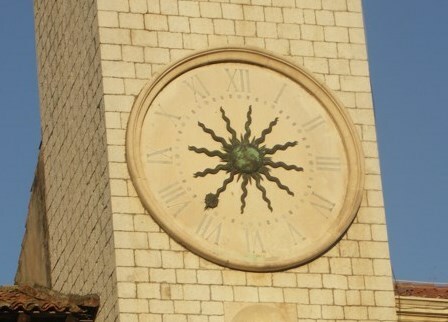 A Franciscan brother repaired the clock hands, forming them into the current “Octopus”, along with the bronze sphere showing the phases of the moon. resident living in Chile sent funds to repair the tower in 1928. 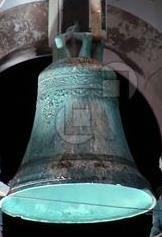 At that time the original bronze bell from 1506 was returned to its place of honor atop the tower. The scaffolding was removed the day before Sveti Vlaho Day on 2 February 1929, and the town residents celebrated. For more than 100 years, the same family has maintained the clock tower mechanism, a tradition passed down for generations. 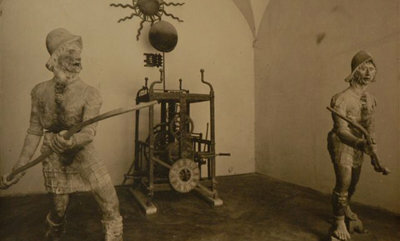 The original bronze jacks had suffered much damage over the years and replicas were installed during the time the originals went through intensive work restoring their original beauty. The restoration took more than 5 years and finally the Zelenci are back in Dubrovnik at the Rectors Palace for all who visit to admire. Every afternoon at Noon the bell begins to chime and disturbs the pigeons that flock in Gundulic Square, located just behind Sveti Vlaho Church. Children squeal in delight as the pigeons hover overhead as kernels of corn are strewn about the square. 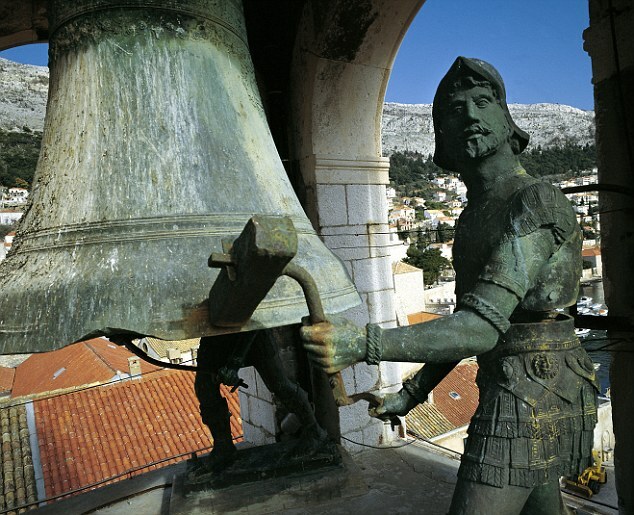 The sounds of the Zelenci striking the antique bell are strong with pride, a Dubrovnik tradition for the last several hundred years. This entry was posted in Cultural and Historical Sites and tagged Clock Tower, Maro i Baro, old town Dubrovnik, Walking tour by Cavtatlady. Bookmark the permalink. Thanks for this post, Carol. You took us to see the Green Men and I remembered some of the history, but this gave me a wonderful review. I also want to say that I very much enjoy reading your blog. You paint wonderful images with your words! Thank you, this blog is a labor of love since Dubrovnik has been part of my soul for the past 40 years. Cool story. We love belltowers–climbing them whenever we can. Which brings up an interesting question: can tourists climb the belltower?? Yes, tourists can now climb the bell tower to the mid area loggia, the hours are from 1900 until 2200 daily – views of the old town and Stradun are breathtaking. Thanks for your explanation and the photo of Baro and Maro. My wife and were walking the wall. When the bell started ringing we could see what appeared to be a couple of men moving. We kept looking through our zoom lens and we were surprised that the men seemed to stay up in the tower. We’re astonished to learn that they are really, effectively, very old robots. Thank you for this information, it was much more detailed than the city tour I took recently. I do have one question, what is between the phases of the moon and the digital clock? Is it just a window to see out when you climb the tower or is it something else? It was told to me that it is just small windows to help the maintenance workers inside, they had not light for many years. No one is permitted to go up in the town except the maintenance people.